Tsutaya is a large and popular book, music and DVD rental and sales store. This branch is relatively big with a good selection in the music and DVD department, but the book side of things is not great. On the music and DVD end, the rental selection is much larger than the CDS and DVDs for sale. On the book end, they only have sales, no rentals or loaning service. They don't have many English books and the selection of books in general isn't as good as many other of their branches. This branch is just a few minutes walk from Kawagoe station. It is located in the basement of Kawagoe Modi. You can use Kawagoe Modi's parking area. 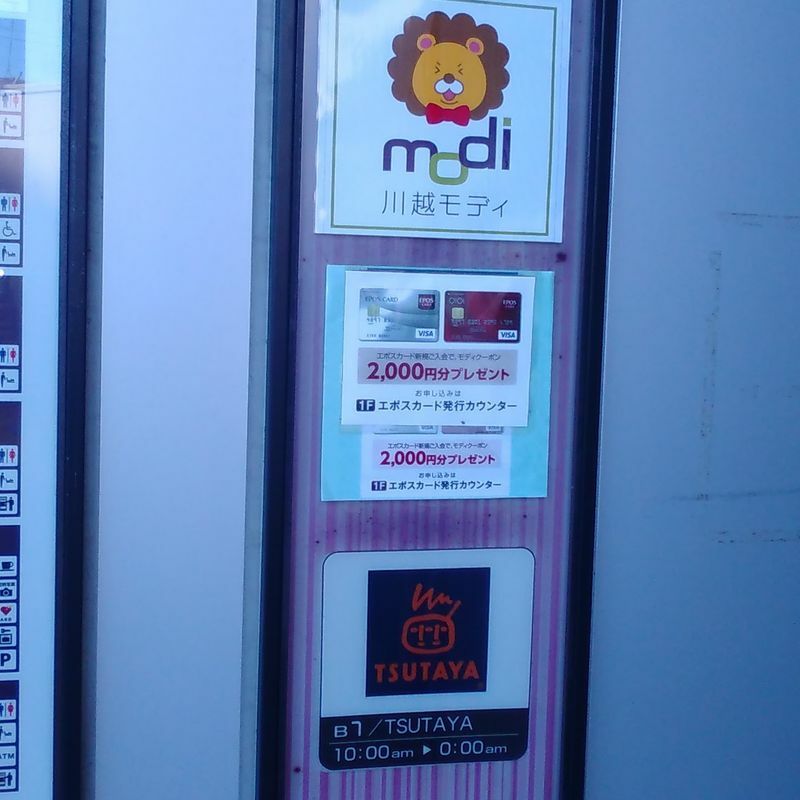 It costs 400 yen per hour, but if you purchase over a 1000 yen of goods or services in Kawagoe Modi you get the first hour free.